Even the most experienced professional can feel overwhelmed from time to time. There is so much going on, and so many different responsibilities to every job, that it can feel like you are constantly playing catch up. It would be great if someone could take on the micromanaging and organizational aspect of your day so that you could spend more time focusing on what is really important. You’re not alone. Inbound marketing is fantastic, but there are definitely a lot of tasks that come into play when you really dive into it. Luckily for you, someone has already thought of some solutions to make your job easier. Here are six of our most favorite, tried and true, inbound marketing tools to keep you organized, up-to-date and on point! There’s nothing more exciting than finding someone or something that does it all, and in this case, that something is HubSpot, a powerful inbound marketing platform with a wide range of integrated tools that really cover all the aspects of your inbound campaign. From website development, blogging, email marketing, social media management and lead generation (to name a few aspects), the goal of the HubSpot software is to attract visitors, convert leads and close them into customers. Unlike other CMS platforms, HubSpot provides a great balance between automation and originality; it's not SO automated that it sounds like you're a robot, but it's not so custom that you have to spend a ton of time on small tasks. Through features such as post scheduling, smart content that changes depending on a viewers' stage in the buying cycle, and easy-to-use dashboards, you'll save a ton of time and effort in building, evaluating and reporting on marketing efforts. Emails get confusing, phone conversations get forgotten, and sometimes sitting down in one room to hash out the details is impossible. So what's the best way to work through developing, let's say, website copy? The answer lies in GatherContent, a content collaboration tool with customizable fields that make sharing content easy. In GatherContent, you can create custom boxes for "headlines", "subheads", "body", etc. and give all those involved access to the account. There's even an area where you can include meta data so that your content is optimized for search. Included, are special sections for notes or an outline - beneficial for your collaboration process! You can comment in a general page thread or on specific elements by highlighting them. Additionally, as edits are made back and forth, GatherContent keeps track of who did what, and allows you to compare the changes of each for complete visibility into the process. You may be saying: "Can't you do the same thing on Google Drive?". Well, you can, but GatherContent was created with web-based projects in mind, so the different features cater to a team approach. You can easily track where pages are in the process, and who is assigned to those pages. This is great for us when we're working with a customer, because we can split up responsibilities into different text boxes. Overall, the organization and usability of this tool is a win, and is a must-have for any web-based project. Hosting webinars, teaching an online training course or setting up a video conference call does not have to be difficult, seriously! With the GoTo tool kit, featuring GoToWebinar, GoToMeeting or GoToTraining, you can provide a cost-effective solution that makes the entire operation, from planning and inviting to hosting, simpler than ever. The process of connecting this tool to your HubSpot portal will set the tone for the ease of use and powerful automation features you will experience. The stress associated with registering attendees is lifted by creating registrants for your webinar when visitors are converted on specific HubSpot landing pages and then allowing the ability to import registrants and attendees information. You can even segment, nurture and score leads based on their activity, through reminders and follow-up emails. Additionally, you'll be a better host with a meeting that is easy to join and controls that are easy to understand. Regardless of how many calendars and personal planners I have around me, I am often overwhelmed by project deadlines and timelines. There are only so many to-do lists one person can make, right?! Consider using Trello, a super simple project management tool that can help you assign tasks, set due dates and keep track of where your time is going. And when we say super simple, we mean drag and drop style simple. Create custom columns for different stages of a project and move the task from one to the next until it’s complete. Leave comments, receive alerts as due dates approach and even access Trello from your mobile device via the app. This tool is so useful that we use it to manage our blog posts and authors. It’s a great solution to stay organized and find all of your tasks in one place. This web-based marketing tool is great at tracking which pages are driving the most traffic, what blog topics are proving successful and what premium content offers are converting the most qualified leads. No more guess work means you’ll be converting at a higher rate with less leg work. 6. What Fits in the Cloud? Salesforce. If you find yourself constantly on the go, there are custom mobile apps available that can make your mobile device seem like a portable sales office and allow for real-time visibility of your dashboard. So how about that for organization? When it comes to inbound marketing tools, I find it’s best to take it one day at a time. Organization and streamlined channels don’t happen overnight but they will happen quicker than you think especially if you start taking advantage of some of the amazing tools available. 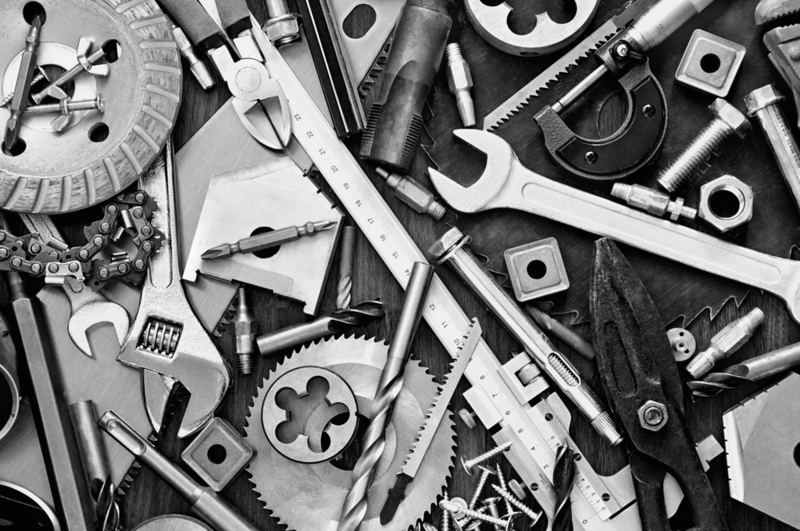 What other inbound marketing tools have you found helpful in making your job easier? Comment below and let us know! Carly is a former New Breeder.